Fusion Sydney North works towards the growth and development of young people and the communities in which they live. Contributing to the building of resilient young people, stronger families and safer communities in and around Hornsby. Jacks Youth Cafe is a drop in program for high school aged young people (12 – 18). 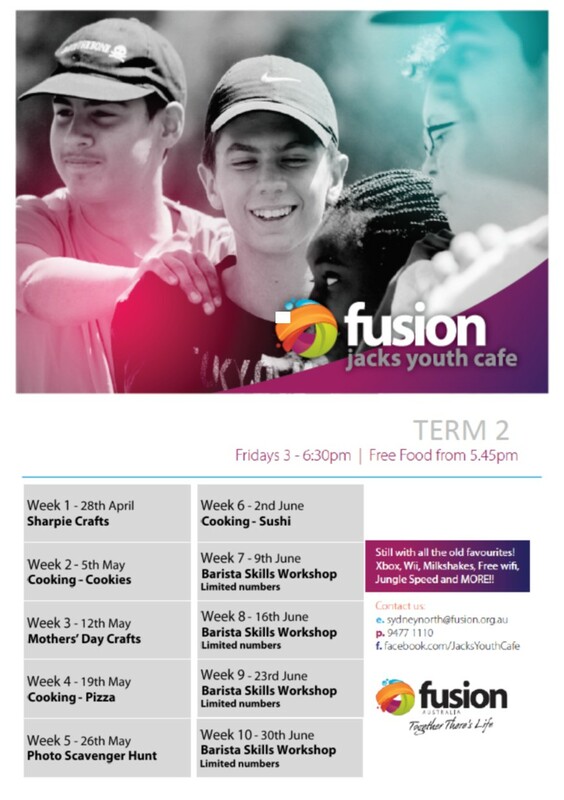 Jacks Youth Cafe runs in the Fusion Nannelli Community Centre – 5 Jersey Street, Hornsby and is open 3 – 6pm on Friday afternoons during the school term.